Union Budget for the fiscal year 2011-12 . 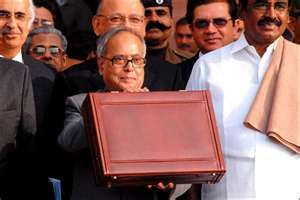 The Finance Minister Pranab Mukherjee has started Union Budget 2011-2012 today. •Indian economy Axpected to grow at 9% in 2011-12. •Five-fold strategy to deal with black money. •Rural broadband connectivity to all 2.5 lakh panchayats in three years. •1500 institute of higher learning to be connected by March 2012 with Knowledge Knowledge Network. •Surcharge on corporate lowered to 5% .